Here is something to reflect on. 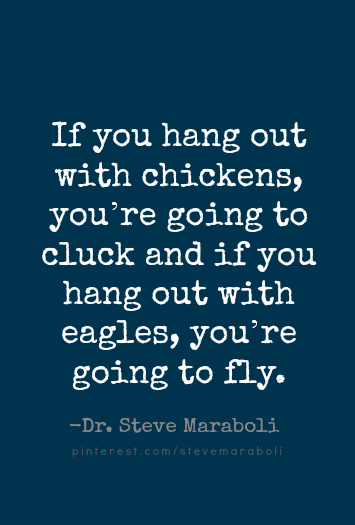 “If you hang out with Chickens, you’re going to cluck and if you hang out with eagles, you’re going to fly. Gbam! that’s why you’re a don chichi 🙂 see correct answer!